GLADSTONE, N.J. – March 25, 2019 – One of the great features of the Garden State Horse Show, produced by the Junior Essex Troop, is the barn at its new home, Hamilton Farm, the former training grounds of the United States Equestrian Team (USET) and now home to the USET Foundation. To compete at the facility is an experience. To have the privilege of having stalls in the main barn with its elaborate brick work and touches of brass, is like a taking a step back into U.S. equestrian history. The top-notch USEF Premier AA hunter/jumper show, a New Jersey spring tradition, is scheduled for April 27- May 5. Stalls in the iconic barn are limited and additional tent stalls will be available. Contact Tucker Ericson at jtericson1969@gmail.com or (908) 303-1956. GLADSTONE, N.J. – March 25, 2019 – One of the great features of the Garden State Horse Show, produced by the Junior Essex Troop, is the barn at its new home, Hamilton Farm, the former training grounds of the United States Equestrian Team (USET) and now home to the USET Foundation. To compete at the facility is an experience. To have the privilege of having stalls in the main barn with its elaborate brick work and touches of brass, is like a taking a step back into U.S. equestrian history. 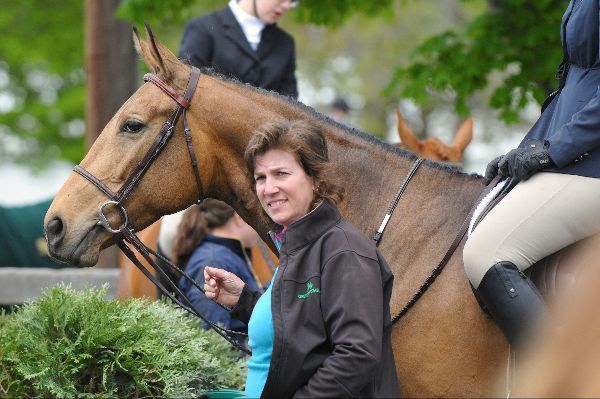 The top-notch USEF Premier AA hunter/jumper show, a New Jersey spring tradition, is scheduled for April 27- May 5. Stalls in the iconic barn are limited and additional tent stalls will be available. Contact Tucker Ericson at jtericson1969@gmail.com or (908) 303-1956 or click on the link below. Garden State Horse Show is proud to offer the ultimate in hospitality. Gather with friends and enjoy the competition from an ideal vantage point. Chive and Thyme Catering will serve gourmet fare for all nine days of the show. Enjoy a continental breakfast each morning from 7-10 a.m., as well as snacks and refreshments throughout the day. Savor light lunch at noon and appetizers with beer and wine from 3-6 p.m. A wristband is required for entry. Reserve your table today or contact Tucker Ericson at jtericson1969@gmail.com or Leslie Sullivan at leslie.sllvn@gmail.com. Because the Garden State Horse Show's is now a one-ring boutique event, at a world-class facility, the management expects capacity entries. To be certain not to be left out, get your entries in soon. Entries close April 15. To enter click on the button below or go tohorseshowing.com. The Garden State Horse Show was founded in 1951 by the Junior Essex Troop, a cadet auxiliary born out of the 102nd Cavalry – New Jersey National Guard Essex Troop, to teach young men ages 11-18 cavalry-style horsemanship. In 1983 the Junior Essex Troop became coed. Though the Troop ceased daily operations in 1989, the organization continues its mission to foster education and horsemanship by supporting youth organizations, collegiate equine programs, scholarships and animal rescue. 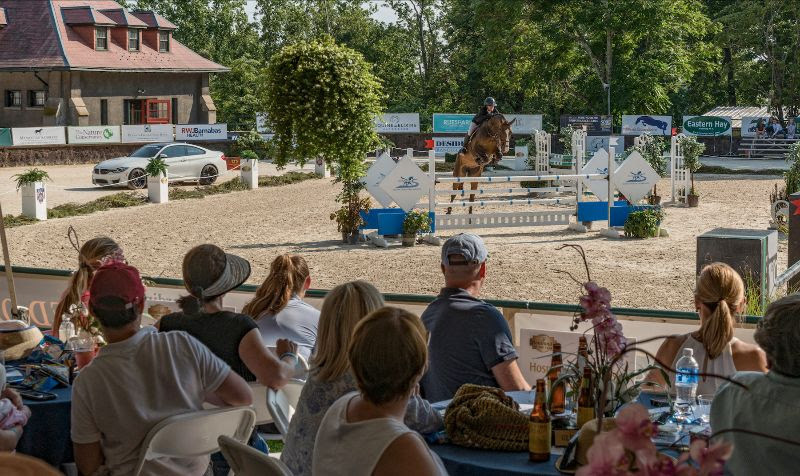 New Jersey’s Hamilton Farm, home to the USET Foundation and former training facility for the U.S. Equestrian Team, is the country’s most important historic equestrian venue. Once New Jersey’s largest and most important equestrian event, The Garden State Horse Show is a spring tradition.